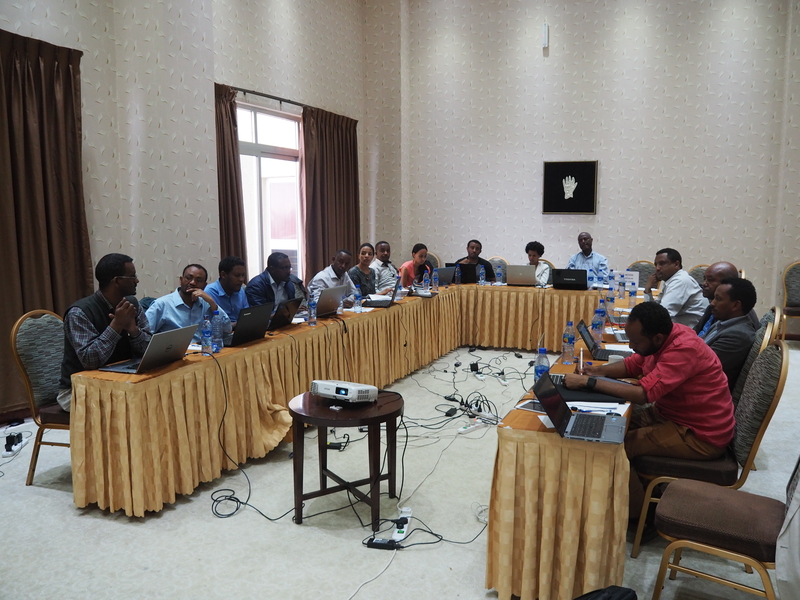 The Environment and Climate Research Center (ECRC) at the Ethiopian Development Research Institute (EDRI) held a meeting from 23-25 September 2016 to review milestones and targets that were set for the last 6 month. The researchers presented their respective survey instruments and research plan, along with the necessary resources and time frame. The discussion continued on how to integrate the instruments developed by each thematic areas and on data collection approaches.